Mon., 11 Nov. - Tue., 26 Nov. Sun., 10 Nov. - Tue., 26 Nov. Thu., 24 Oct. - Sun., 10 Nov. Sun., 8 Sep. - Sun., 22 Sep.
Wed., 4 Sep. - Wed., 25 Sep. Tue., 24 Sep. - Thu., 17 Oct. Sat., 26 Oct. - Sat., 2 Nov. Sat., 9 Nov. - Sat., 16 Nov. Sat., 9 Nov. - Sat., 23 Nov. Sun., 15 Sep. - Sat., 28 Sep. Mon., 11 Nov. - Wed., 27 Nov. Thu., 19 Sep. - Sat., 19 Oct. Sun., 3 Nov. - Thu., 21 Nov.
Wed., 2 Oct. - Thu., 17 Oct.
Fri., 20 Sep. - Sun., 13 Oct.
Fri., 13 Sep. - Sat., 28 Sep. Sat., 14 Sep. - Sat., 28 Sep. Sun., 10 Nov. - Wed., 27 Nov. Thu., 29 Aug. - Tue., 17 Sep. Sun., 15 Sep. - Sat., 16 Nov.
Wed., 2 Oct. - Thu., 10 Oct. Sun., 3 Nov. - Mon., 11 Nov. Sat., 9 Nov. - Tue., 17 Dec. Mon., 4 Nov. - Sun., 17 Nov.
Fri., 17 Jan. - Tue., 4 Feb. Tue., 1 Oct. - Tue., 29 Oct. Mon., 24 Jun. - Mon., 22 Jul. Wed., 5 Feb. - Mon., 17 Feb. Tue., 5 Nov. - Tue., 19 Nov. Mon., 11 Nov. - Wed., 15 Jan. Thu., 6 Jun. - Tue., 18 Jun. Mon., 20 Jan. - Thu., 30 Jan. Thu., 16 Jan. - Tue., 4 Feb. Mon., 30 Dec. - Mon., 2 Mar. Wed., 1 Jan. - Thu., 16 Jan.
Wed., 23 Oct. - Mon., 4 Nov. Mon., 20 Jan. - Sat., 15 Feb.
Wed., 10 Jul. - Tue., 6 Aug. Tue., 14 Jan. - Tue., 28 Jan. Tue., 5 Nov. - Tue., 12 Nov.
Wed., 15 May - Fri., 14 Jun. Thu., 26 Dec. - Sat., 18 Jan.
Wed., 1 Jan. - Mon., 13 Jan. Thu., 14 Nov. - Wed., 20 Nov. Tue., 3 Sep. - Thu., 5 Mar. Thu., 26 Dec. - Thu., 9 Jan. Mon., 3 Jun. - Thu., 13 Jun. Sun., 22 Dec. - Tue., 7 Jan. Mon., 24 Jun. - Thu., 4 Jul. 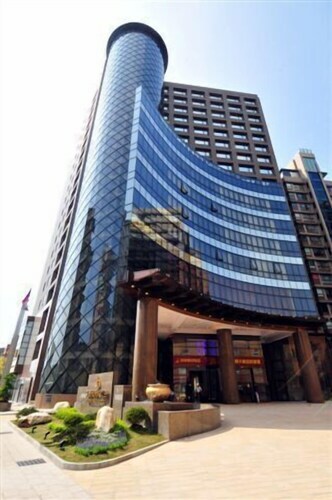 See all 963 properties in Taoyuan Intl. 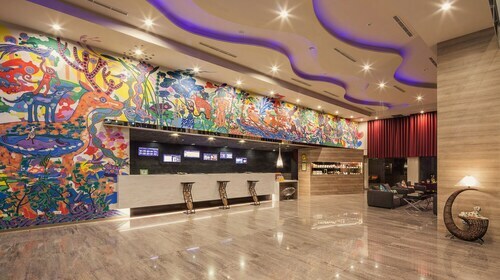 Located near the airport, this family-friendly hotel is within 9 mi (15 km) of Gloria Outlets, Taoyuan International Baseball Stadium, and Zhuwei Fishing Port. Daxi Old Street and Taoyuan Hakka Culture Hall are also within 25 mi (40 km). Situated near the airport, this hotel is within 9 mi (15 km) of Zhuwei Fishing Port, Taoyuan International Baseball Stadium, and Wu Jiu Tong Shan Trail. Gloria Outlets and Miramar Golf and Country Club are also within 9 mi (15 km). 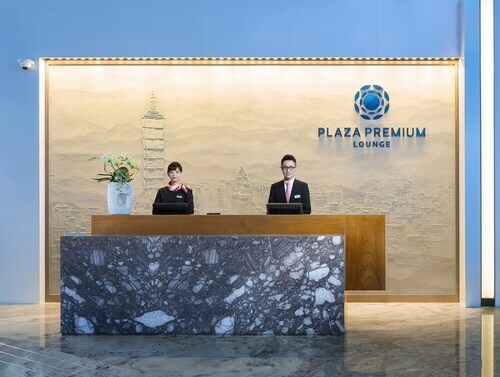 Situated near the airport, this hotel is within 9 mi (15 km) of Gloria Outlets, Taoyuan International Baseball Stadium, and Taoyuan Night Market. Zhuwei Fishing Port and Wu Jiu Tong Shan Trail are also within 9 mi (15 km). 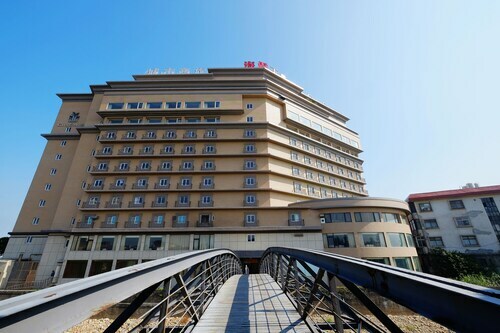 Situated in Dayuan, this hotel is 2.9 mi (4.7 km) from Wu Jiu Tong Shan Trail and within 9 mi (15 km) of Taoyuan Night Market and Taoyuan International Baseball Stadium. Zhuwei Fishing Port and Gloria Outlets are also within 9 mi (15 km). 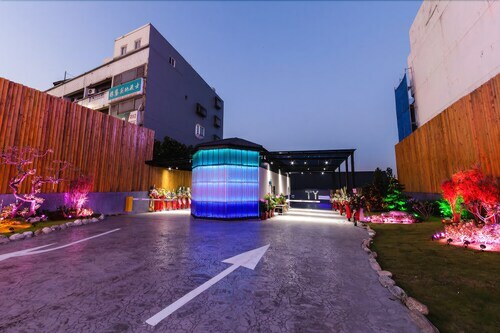 Situated near the airport, this hotel is 1.1 mi (1.8 km) from Wu Jiu Tong Shan Trail and within 6 mi (10 km) of Taoyuan Night Market and Taoyuan Shrine. Zhuwei Fishing Port and The Jiangs Cultural Park are also within 6 mi (10 km). Guishan Nanxiang Station is 24 minutes by foot and Luzhu Zhingxing Station is 26 minutes. 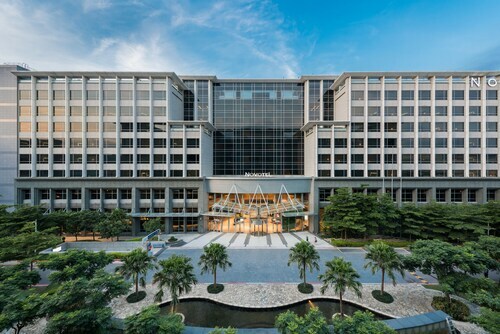 Situated in the business district, this hotel is within 9 mi (15 km) of Taoyuan Night Market, Gloria Outlets, and Chung Yuan Christian University. Guishan Nanxiang Station is 17 minutes by foot. 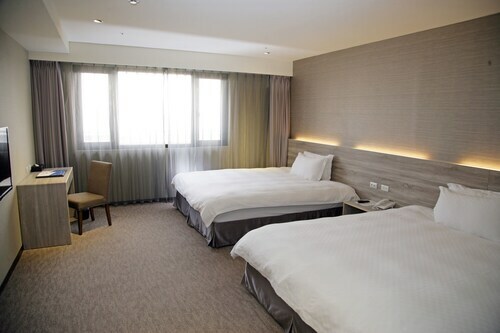 Situated near the airport, this hotel is within 9 mi (15 km) of Taoyuan International Baseball Stadium, Gloria Outlets, and Zhuwei Fishing Port. Taoyuan Night Market and Miramar Golf and Country Club are also within 16 mi (25 km). Situated in Dayuan, this hotel is within 9 mi (15 km) of Gloria Outlets, Taoyuan International Baseball Stadium, and Zhuwei Fishing Port. Taoyuan Night Market and Baishajia Lighthouse are also within 12 mi (20 km). Question : What is the cheapest airline flying from Toronto to Taipei? Answer : China Eastern Airlines is your best bet for finding that in demand low fare. They're offering fares as low as $792, while rates for similar flights can cost as much as $6,457. Question : How much time do people spend in Taipei? Answer : The average time spent sightseeing in Taipei by passengers from Toronto is 30 days. Question : How long does it take to fly from Toronto to Taipei? Answer : The average flight from YYZ and TPE takes around 15 hours and 44 minutes. Remember, there is a 13 hours time difference. Question : How many flights are there per day from Toronto to Taipei? Answer : Of course, the day of the week matters, but on average, two different flight times exist when you fly from YYZ to TPE. The average route departing Canada currently has six different flight times per day, so expect fewer choices than you're used to. Question : How long is the flight from YYZ to TPE? Answer : This direct flight will take you away to your destination in 15 hours and 40 minutes via EVA Air. If you catch the 12:45 AM EDT departure, you'll arrive at 5:25 AM CST. You'll have plenty of time to grab a quick lunch. Don't forget the 13 hours time change. So, synchronize your watches. Answer : Yes, you can change your departure or arrival date. If you wish to save a little money in doing so, the cheapest day to fly in April is Tuesday. Flexibility is key when booking travel plans in order to keep costs down. Question : What is the cheapest date to fly to Taipei? Answer : Tickets are currently being sold for $792, which is 43% below the average price for this route. As of Apr 15th, the cheapest day to fly from Toronto to Taipei is May 6th. Flights from Buffalo Niagara Intl. to Sky Harbor Intl. Flights from Bangor Intl. to John F. Kennedy Intl.